Teenagers make great entrepreneurs; they have creativity, enthusiasm, and love adventure and taking risks. If directed towards the right money making ideas and motivations, teens’ entrepreneurial skills and plans can become financially viable and lead to possibly long-term business options. Teens who start learning business early also take away a lot of lessons in analysis, people relations, and resourcefulness that they will be able to use the rest of their lives. 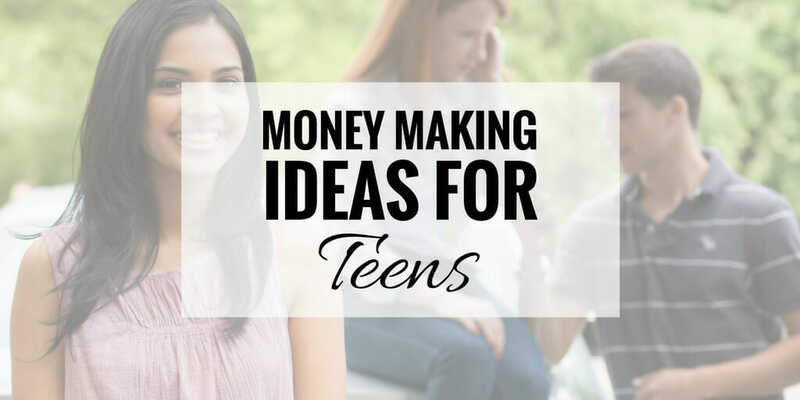 What are some money making ideas that are excellent for teenagers? A lot of people are wary about hiring a teenager who walks up to their doorstep alone because it can look suspicious, but a group of teenagers working together looks safer and more legitimate. Get together with your friends and start a babysitting service, house cleaning service, or other odd jobs and errands for neighbors or residents in your community. Most people find it hard to resist baked cookies, pies, cakes, and other pastries, especially if they are hot and fresh from the oven. If you have the talent to whip up heavenly baked products, use this skill to make some money and grow your business. Are you artistic or into crafts and other projects? The Internet offers plenty of resources for you to be able to market your crafts to the vast online audience, increasing your chances of financial success. Start with a few niche items that you are really good at, and then slowly increase the product selection as your revenue increases. If your parents have a lot of stuff they are looking to sell, you can offer to be their sales assistant. Set up a yard sale and get the word out using flyers and invitations. On eBay and other online trading sites, you can offer to be the broker or selling assistant, and then get a percentage of every sale made. If your community does not have an organized recycling pick-up and drop-off process (many areas do not), this is a great way for you to earn some money and help the environment as well. For a fee, ask neighbors and homeowners to sign up for your recycle pick-up list; every week, you will pick up their items for recycling, and then take everything you collect to a local recycling facility where you can usually get cash for these items also. The teen market is very lucrative for retailers, so they are always looking for ways to better connect and market to this segment of the consumer market. Look for focus groups or studies in your area where your opinion and suggestions are needed. There may be younger students in your neighborhood who need additional help in Math, Science, English or other subjects that you are proficient in. For a fee, you can offer to help them after school; this is a great way to be involved in another person’s life, and teaches you patience as well. Also check out money making ideas for college students!